"How can a total stranger understand you better than the people you've known your entire life?" When Lance's '93 Buick breaks down in the middle of nowhere, he tells himself Don't panic. After all, he's valedictorian of his class. First-chair trumpet player. Scholarship winner. Nothing can stop Lance Hendricks. But the locals don't know that. They don't even know his name. Stuck in a small town, Lance could be anyone: a delinquent, a traveler, a maniac. 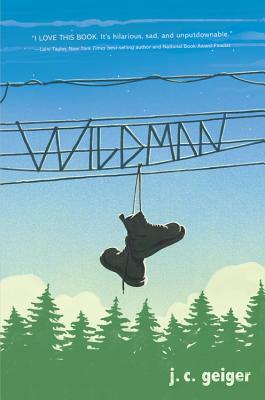 One of the townies calls him Wildman, and a new world opens up. He's ordering drinks at a roadhouse. Jumping a train. Talking to an intriguing older girl who is asking about his future. And what he really wants. As one day blurs into the next, Lance finds himself drifting farther from home and closer to a girl who makes him feel a way he's never felt before-like himself. J. C. Geiger (www.jcgeiger.com) has eaten the beating heart of a snake, been deported from a full-moon party, and spent a short time locked in a Bolivian prison. He also writes fiction. His short works have appeared in the pages of Murky Depths and Horror Garage, and on stage at The Second City in Chicago. J. C. now writes, teaches, directs, and performs in the Pacific Northwest, where he can often be spotted behind the wheel of a 1993 Buick Century. It still runs like a dream.